In 2014, India’s solar power generation capacity was 3,000 megawatts (MW). In less than three years, this figure has risen three-fold and India now boasts of an installed capacity to churn out 10,000 MW of solar energy. The Indian Government is working towards realizing its renewable energy target of 175 gigawatts (GW) by 2022. Solar energy will amount to 100 GW of the total 127 GW. More than 14,000 MW of solar power projects are being developed and roughly 6 GW are scheduled to be auctioned shortly. In 2016, about 4 GW solar capacity was added and 8.8+ GW capacity may probably be added this year. Further, a massive state aid of INR 21,000 crore for the solar panel manufacturing industry is being worked out by the Government of India. 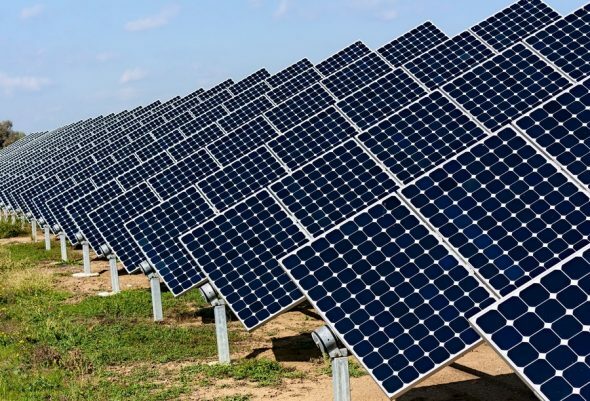 Pradhan Mantri Yojana for Augmenting Solar Manufacturing (Prayas) has been devised to increase India’s installed photo-voltaic capacity, while also to open up an export industry for it. Prayas is a Central Government plan. In addition, the Government has successfully slashed down tariffs to as less as INR 2.97 per unit in certain special cases. In the next 13 years, India’s electricity demand is predicted to increase threefold. The recently released national electricity plan saw the Central Electricity Authority projecting a 350-360 GW total generation capacity need by 2022. By aggressively promoting growth in crucial energy sectors like solar, wind, hydro-power, and geothermal, India can significantly bring down the shortfall at almost negligible environmental costs. India now houses the largest solar power plant of the world, massive enough to power 1,50,000 homes!